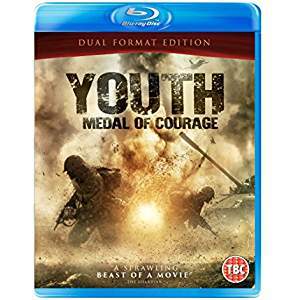 Asian Books Blog: Youth: Medal of Courage. Do Chinese films ‘translate’? I decided to do a vox pop survey, and started my inquiries at home. Literally, at home, with my husband and a friend: due to the vagaries of late-night train services to the West Country, I had to leave the film showing at London’s China Exchange half-way through, but a couple of days later I got a DVD through the post (thank you, Matthew Hurst of Trinity Films). Youth is now available on Amazon and iTunes. A: Husband: the photography, it was beautiful, compelling…. but even though I knew about the background, most of the time I didn’t have a clue what was going on. A: Friend: I loved the music though I was surprised how western it sounded. And some of the dancing was extraordinary. Q: Did you find it sad? A: Husband: Well, I knew the Vietnam War was coming, so I knew horrible things were going to happen to these people. I was reminded of A S Byatt’s novel about a group of young people just before and during the First World War. A: Friend: Who was Lei Feng? A sort of Jesus Christ figure? I thought they were taking the piss out of Liu Feng by comparing him to Lei Feng….And I didn’t believe they were really that sexually repressed. You sure young people weren’t having it off on the quiet? A: Husband: I couldn’t tell the characters apart. They were all dressed alike and the same age, with dancers’ bodies. There are a number of different things going on in Youth – as you would expect in a film over two hours long that spans several decades. As one comment that followed an American review of the film put it: ‘Everything that happened leads to one thing: classism and class separation following China's conversion to capitalism. This is something that plagues China to this day, and it is getting worse.’ So…. Xiaoping is at the bottom of the politico-social heap because her father is still banged up doing re-education, while Shuwen, the golden girl daughter of a general, goes from being young, beautiful and privileged in 1976 to being middle-aged, rich and privileged in Hainan thirty years later. Now that is something that completely passed over my pair of interviewees’ heads. Myself, I loved the film and its stars. OK, they were all beautiful and squeaky clean, hardly representative of the population as a whole, but then young dancers are chosen for their looks as well as their abilities – think the American TV series, ‘Fame’. On second thoughts, maybe don’t. Personally, as someone who was studying Chinese on the other side of the world when all this was going on, I felt the pain of these youths, living in a bubble, then brutally disabused of the ideals they’d grown up with, plunged into a war that has been expunged from most history books, if it was ever there in the first place. Yan Geling in an interview with Feng Xiaogang says: ‘Youth captures all the rare experiences of our youth as artists coming of age in the troupe. No one in any other country could have had it, nor will ever have it.’ (Chinafile.com) I think Yan’s words prove my point.